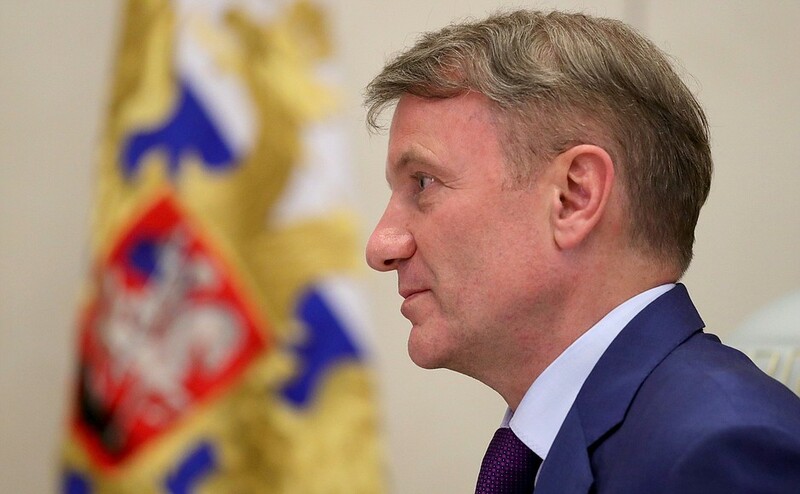 Putin met with Sberbank Russia CEO German Gref. Putin.BLOG Banks Putin met with Sberbank Russia CEO German Gref. German Gref briefed Russian President on the bank’s work over the first half of 2017. CEO of Sberbank German Gref. How is our country’s biggest financial institution feeling these days? Thank you. We have just reviewed the results for the first six months of the year. We have a net profit of 317 billion rubles. That is close to or more than half of the combined profit of all of the other banks. This year will be a better one for the banks than was last year, but I believe the figure will be around 40–50 percent. It is usually around this amount. Our profit increased by 38 percent over the first six months year on year, though last year was a record one in the bank’s history. Of greatest importance this year is that a whole series of trends are showing a real change for the better. We see that lending to legal entities is up by 11 percent, for example, year on year, and lending to individuals is up by 20 percent. Overall, this year is the first time we have seen an increase in lending to legal entities. Growth over these six months has not been high, only one percentage point, but this is an increase all the same. For now, our loans portfolio is down in only two segments, the municipal and sub-federal one, and lending to major companies. Lending growth is good as concerns small and medium businesses and individuals. The most important result is that lending to small businesses increased by around 6 percent over the first half of this year. This is the first time in the past three years that we have seen such a rapid recovery of our loans portfolio. This could be because the big companies with state participation have begun to establish associated groups of small and medium enterprises around them. This is one of the areas the Government has been working on, as you may recall. Now that they are under instructions to place some of their orders with small and medium enterprises, this is a factor contributing to this growth. Vladimir Putin with CEO of Sberbank German Gref. Yes, I believe this is so, Mr. President. A number of factors are at work here, including the drop in interest rates, of course. We have lowered interest rates substantially. If you look at the rates at which we lend to small business now, they have come down by around 4–5 percentage points over this last year, and that is a lot. We have also changed our operations with small businesses. Today, we provide automatically designed solutions for small businesses with regard to most products. Yes, you told me about this. Do you think automation is also a factor here? Yes. We have started using artificial intelligence solutions. In November last year, we launched a new product called Smart Credit. I was afraid to make any announcements in terms of quality, because when you automate a process, you inevitably worry how the mature portfolio will turn out. Now, eight months since we launched this new technology, delayed payments are at a record low. It is hard to say what the situation will be like at the 2–3-year mark, but what we have now is a very good result. We have never had such a low volume of delayed payments. Delayed payments account for only 170 million rubles of our entire lending portfolio, and this is a record result. The second very important trend I would like to mention, and one we are working on right now, is making the entire bank completely digital. Two-and-a-half years ago, we began work on creating a flexible new platform capable of radically changing the time it takes to bring new products onto the market. Today, it takes us one or two years to bring a new product onto the market. With the inflexible and cumbersome platform and the vast volumes we have, testing alone takes 4–6 months. And then if we change one part, it can turn out at any moment that problems crop up in a completely different place because the platform is designed according to principles that are outdated and completely uncompetitive today. We therefore decided in 2014 to start creating our own new platform. There are only two banks of our size pursuing such projects in the world today – Spain’s BBVA and us. They started earlier than we did. Their project began in 2007 and they have gone further than we have, but we have travelled a long way over these past three years. The goal we have set is to have our own new banking platform ready and replace the old one by the end of 2018. It will take us another two-three years to change all of the platform’s applications, but the new ones will be our own products. Today, we have around 14,000 people working on this platform. Our subsidiary, Sberbank Technology, employs 10,500 programmers today and is one of Russia’s biggest IT companies. We founded this company in 2011 and it has grown fast since then. We are shifting to the agile work-mode, where programmers and specialists in other areas sit together as small teams working on creating this innovative new platform. If all goes well and we complete the work in 2018, I believe we will become one of the most competitive global digital companies in the world. Our platform’s flexibility will enable us to work in a large number of different areas and to get new products onto the market not within a year or two, but within weeks. This, of course, will have a tremendous impact on decision-making and working speed, and the platform itself will be built on completely different principles. It will raise the quality of work. 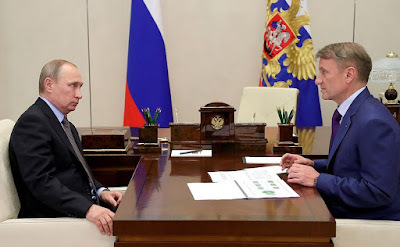 0 Comment to "Putin met with Sberbank Russia CEO German Gref."